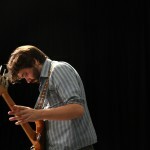 Moore is a versatile guitarist with multiple musical personalities. Performing on a variety of acoustic and electric guitars, banjos, and home-made instruments, James combines the sensitivity and lyricism from his classical training with a healthy dose of improvisation, theatrics, and experimentation. You may have found James in a variety of unique performance situations including the Wulf in downtown LA premiering amplified banjo compositions; at the Pompidous Center in Paris as an on-stage musician and speaker; at the Bang on a Can Marathon directing an orchestra of hearing deprived guitarists; at the Fringe Theater in Hong Kong presenting apocalyptic multimedia works; at the Performa Festival playing Fred Frith’s music for multiple table-top guitars; at the Kitchen performing alongside rock musicians Bryce Dessner, Sufjan Stevens and Glenn Kotche; at the Barbican Center in London playing the music of Michael Gordon with Alarm Will Sound; at the Whitney Museum performing the music of Christian Marclay with Elliott Sharp; at the World Financial Center performing on ukulele with the pop/chamber group Clogs. 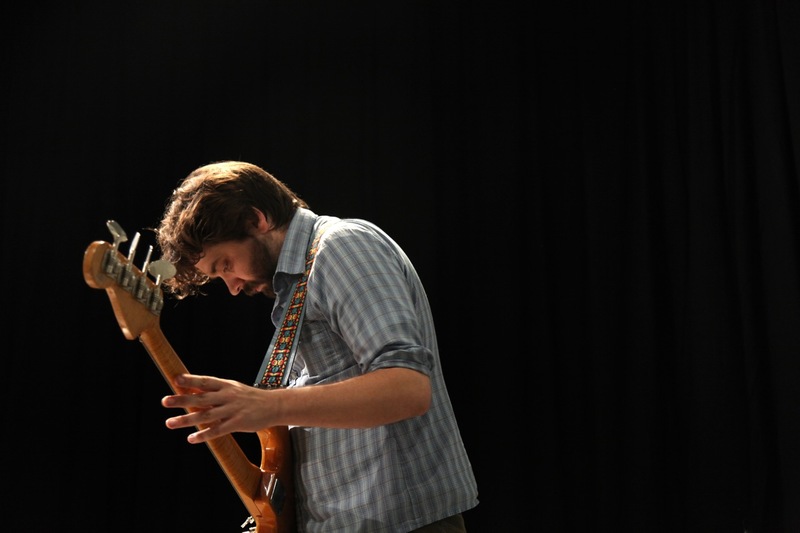 James is a member and co-director of Dither, an electric guitar quartet that has been gaining international recognition for precision playing and creative programming. Other projects include the folk-noise group Oliphant, the experimental band Passenger Fish, and the conceptually extreme chamber music project Ensemble de Sade. His work for theater has brought him to perform with Jennifer Walshe’s absurdist botany and video game opera The Geometry, Jacob Cooper’s electronic pop-tragedy Timberbrit, and the European tour of Richard Maxwell’s otherworldly music-theater piece Neutral Hero. James also regularly performs with Object Collection, the resident experimental ensemble at the Incubator Arts Project, formerly playwright Richard Foreman's Ontological Theater. Recent album releases include William Brittelle’s lip-synched pop collage Mohair Time Warp and Matt Marks's Christian nihilist musical The Little Death, Vol 1 on New Amsterdam Records, and Dither’s self-titled debut on Henceforth Records.